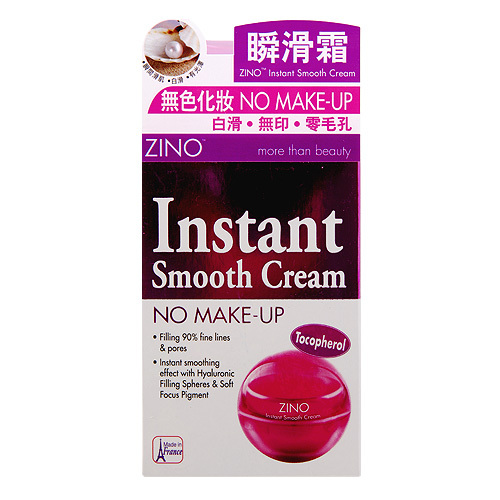 ZINO Instant Smooth Cream patented French formula with special silky-smooth and oil-free care which leaving a perfect smooth skin in 15 seconds. 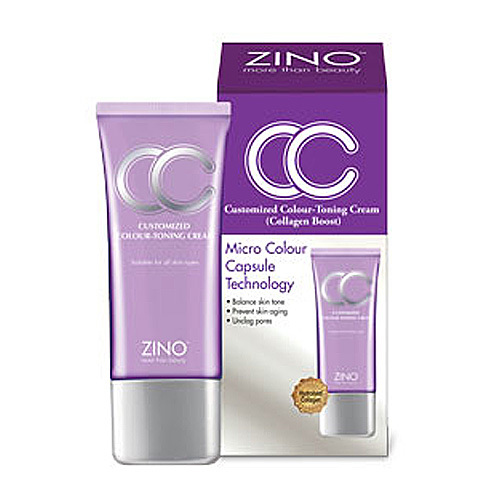 This cream can be used as under make-up and your make-up will last longer.ZINO Instant Smooth Cream gives complexion perfect smooth and refresh, diminishes the appearance of fine lines, wrinkles and enlarged pores or hollows, retaines essential moisture and moisturize skin.Hyaluronic Filling SpheresThey will lock a large quantity of water molecules and glide into the superficial layers of the epidermis. 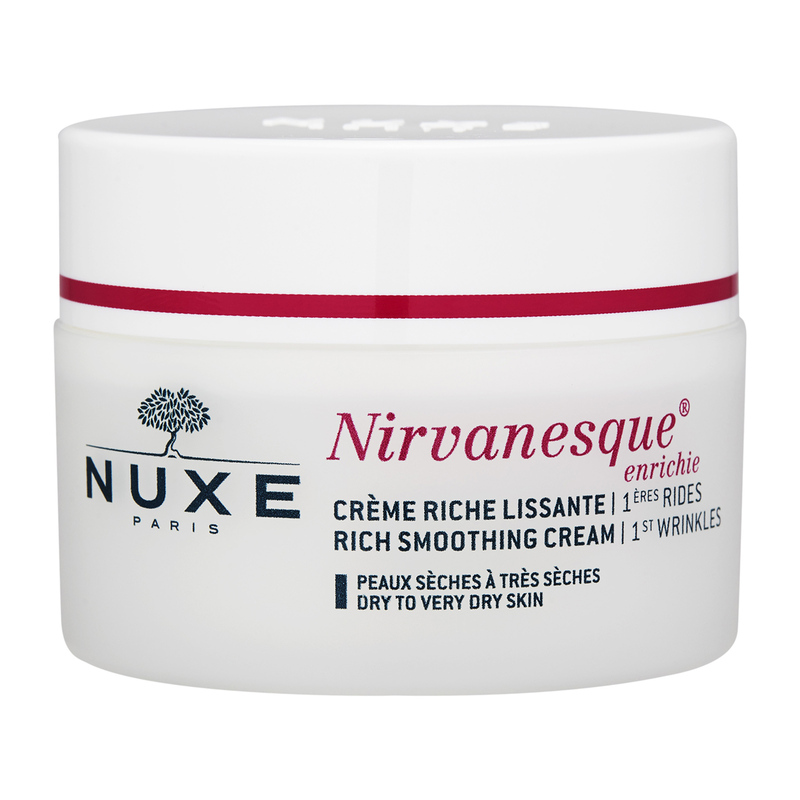 They act like a sponge – rehydrate the skin as they expand and fill in the wrinkles, lines and enlarged pores.Soft Focus PigmentIt embellishes the complexion including fine lines, wrinkles, enlarged pores or hollows. This correcting pigment erases the irregularities of our skin relief, thanks to its remarkable optical effect.Vitamin EIt is a strong anti-oxidant agent which protects cells against free-radicals. 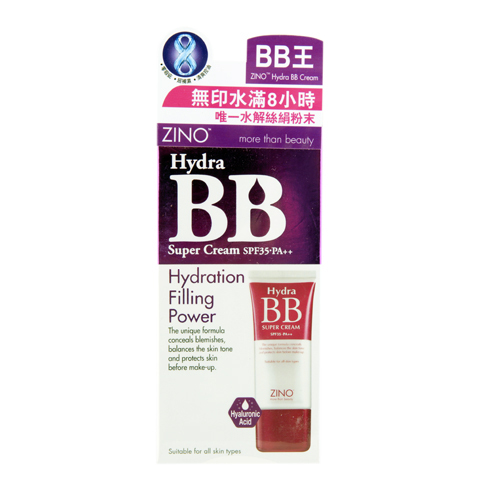 It also has the moisturizing and smoothing properties.